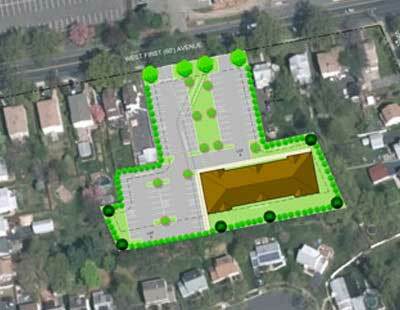 Are you looking for an engineering site plan in Northvale, NJ? Omland & Osterkorn are proven experts at creating site plans in Northvale, NJ for residential, commercial and municipal developments. Our site plans are built on a bedrock of efficient, affordable and sustainable design and are created in close consultation with our clients. In concert with developers, homeowners, architects, and contractors, Omland & Osterkorn helps developers plan and finalize all the details about a given site from how to properly utilize a site’s topography to stormwater management, to deciding the right placement for parking and sidewalks to helping to ensure that a site is environmentally sustainable for the foreseeable future. The latest software developments also allow us to render site designs, helping clients get a better idea of what the final product will look like than ever before. The Omland and Osterkorn site planning process is responsive to clients’ needs from conception through approval. Our clients know that we can be trusted to reach our targets on time and within budget while never sacrificing our standard for quality. For more information about our engineering site plan in Northvale, NJ, speak to one of our engineers at 973-647-7820. Omland & Osterkorn – Your Trusted engineering for site plan in Northvale, NJ.